Welcome to the world of Facebook. 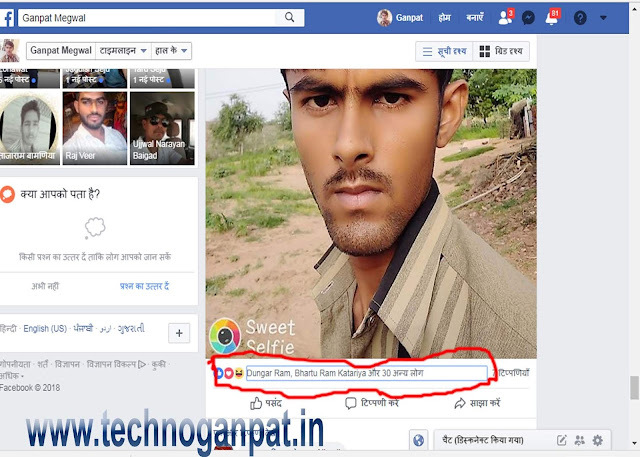 I am your friend Ganpat today, we will learn how to extend like on Facebook so that by looking at your photo, you can end your impression on others and prove yourself intelligent among your friends. 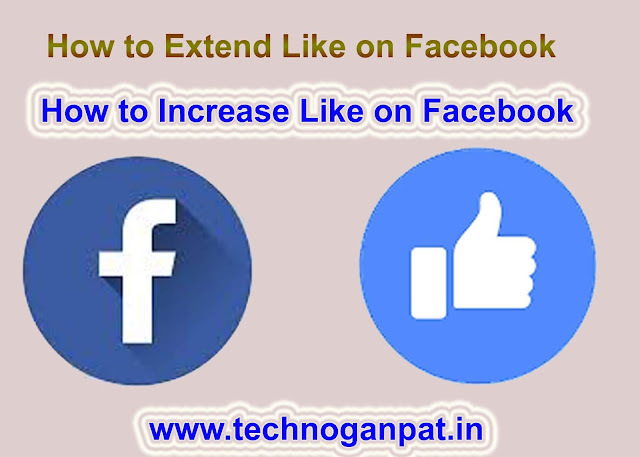 Facebook is the most popular social networking site that millions of people run daily and keep pic, video status updates and talk to their friends like,comment on them so that other people can see those pictures and increase your popularity.So Learn how to extend like on Facebook. By the way, you will know a lot of Facebook tips and trick and you will know about auto Facebook like trick but we will not talk about any auto-liker in this article which will be trick but it is a Facebook trick If you are hardly aware of it then let me know how we can make 15 second unlimited Facebook Like. Step 1. To increase the Facebook 10000+ like first, go to Facebook.com and enter your email id and password. Step 2. When you log in to your Facebook account completely, then open any of your images which you like to increase like. When you open the picture, you will see something written like "Dungerram Barturam Kataraiya and 30 others", then you have to right mouse click on this line and click on "Inspect"
Wherever it is written " Dungerram Barturam Kataraiya and 30 others ", click on it again Right click on it. 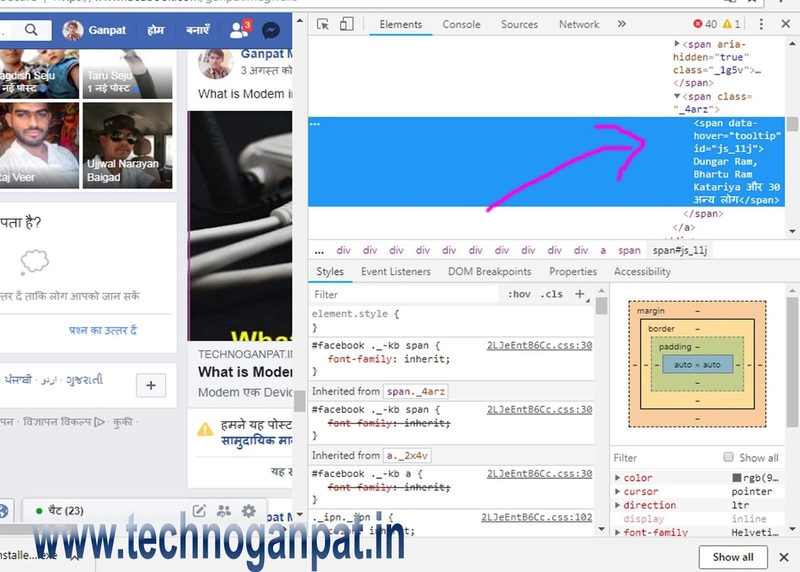 Now you can click on Edit as HTML and continue. Step 4. When you click on edit as html, you can add as many wishes as you like, for example like my pic I wrote 30 like, then I increased it to 300000. Step 5. Now you close that page, now as soon as you close the page, you will see 300000 types written on your fb pictures. As if on my picture my will be seen in the beginning was 30 and now 3 Lake. 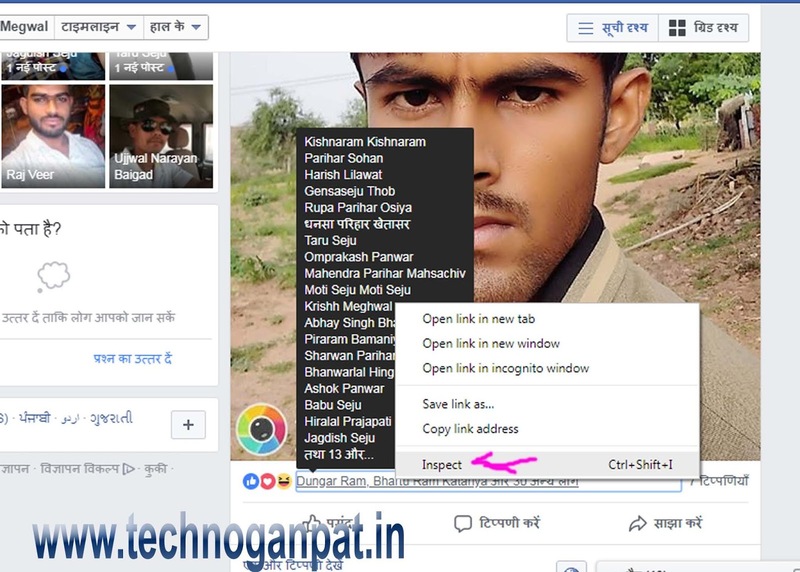 Note: As you can with this kind of trick, you can also like your pics and shine your friends, but keep an eye on one thing that this trick is for a few seconds as soon as you get your page Refresh or window will close again and your original will look like it was before. But the good thing is that by doing this trick, you can make your friends or friends an owl and then they will go behind you. Please, please teach me too.